The run between the Golden Gate Bridge and Lands End is unique: spectacular ocean views, hills, wooded sections, and some beautiful homes. A couple of options here. The ~5 mile route one-way route follows the Coastal Trail, with some road connections. Close to the Golden Gate Welcome Center, you can follow either Lincoln Blvd., or the Battery to Bluffs Trail, which is more rugged. Then you’re on the road for a bit, through the high-end residential area of Sea Cliff, before re-joining the Coastal Trail to Land’s End. 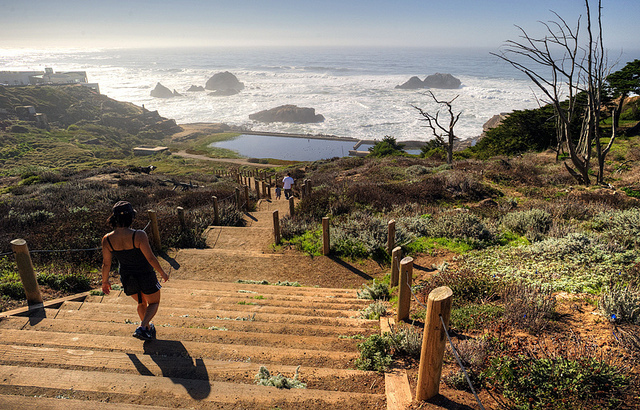 Landmarks include numerous overlooks down to the water, Baker Beach, Seal Rock, and Sutro Baths. There are various options here to do more road sections instead of trails, especially Lincoln Blvd. between Golden Gate and Baker Beach. 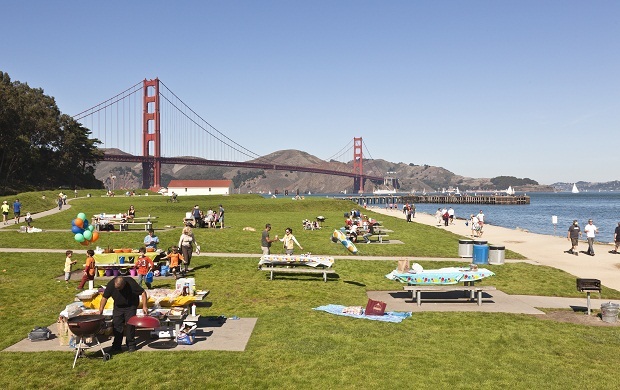 Pop down to Baker Beach, which in the right conditions offers some fantastic beach running. A shorter, but wonderful option is to to the ‘Lands End Loop’, between the Cliff House restaurant and Eagles Point (where the Coastal Trail meets El Camino del Mark. It’s 3.5 out and back. Do you mind if I quote a few of your posts as long as I provide credit and sources back to your blog? My blog is in the very same area of interest as yours and my users would truly benefit from a lot of the information you provide here. Please let me know if this alright with you. Regards! If you would like to take much from this article then you have to apply such methods to your won weblog. Hi there mates, its great paragraph concerning cultureand completely defined, keep it up all the time. I read this post fully concerning the comparison of most recent and preceding technologies, it’s amazing article.